Prom Limousine Service from Deol Limo. Prom Limo rentals at affordable rates. Prom night is indeed one the most memorable and, not to mention, culminating nights of a high school year. It is a big deal for the high school students and the girls especially look forward to this magical evening from the beginning of school year.Prom nights are magical and are usually themed and one gets to see so many energetic youngsters looking their best in their gowns and costumes. This night, with all its glamour is recorded in history by the school reporters and photographers and thus the remembrance goes down in the year book. All the memorable moments of that night are captured – the couples dancing, the best dressed person, the moment of Prom King and Queen and of course any grand entrances or exits. So if you want to make this one night of high school really special and one that everyone will remember then focus on making an entrance with your friends in one of our limos. Deol Limo Service prides itself on providing exclusive prom night limousine services to all the youngsters who want to have a blast of that night and want to do something unique. So you have decided to go for the big limousine entrance with a uniformed chauffer and big music playing inside; but have you thought about which limousine you want to drive you to your prom night destination because we have numerous options for you? Starting from our top class, we have the Bentley Limousine and Rolls Royce Limousine – both of which have stood for sheer luxury and class for decades. However students usually don’t want to spare that much as these are high costing limousines. One of our best limousines is the Navigator Limousine which has the outclass technology of the navigation system and this would prove to be the best limousine for Prom night to find the exact location of the event. We also have limousine bus and Ford Expedition Limousine. Youngsters are joyous because our Prom Night Limousine service is now available in all the major places in Toronto; so Deol Limo Service is not reserved to the main city of Toronto. 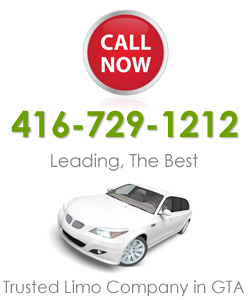 You can avail our services in Mississauga, Brampton, Oakville, Markham, Vaughan, Woodbridge and many others. And besides our Prom Night Limousine service, we also serve you with our Wedding Limousine Service, Birthday Limousine, Corporate Limousine and Airport Limousine Service. We also offer decorations on the inside and outside of the Limo if you want to achieve more uniqueness.